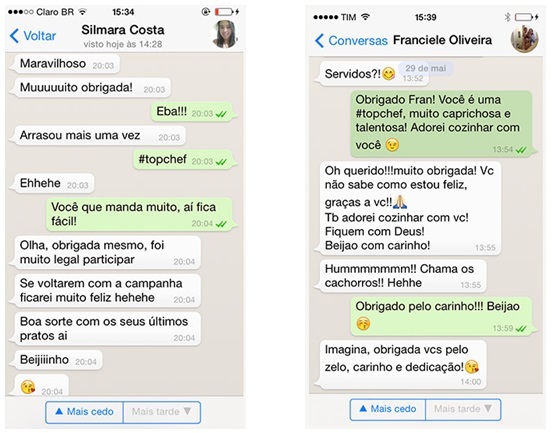 Hellmann’s Brazil used messaging platform What’sApp to engage with consumers and give them a customised experience through their WhatsCook campaign. The campaign is an example of how marketers can effectively leverage mobile messaging tools. To engage with consumers and help them decide what meal to make with the ingredients left in their fridge, Hellmann’s created the WhatsCook campaign. Hellmann’s knew that many of their consumers were often stuck when it came to deciding what to cook, so the brand wanted to engage with consumers in that moment and be the solution. 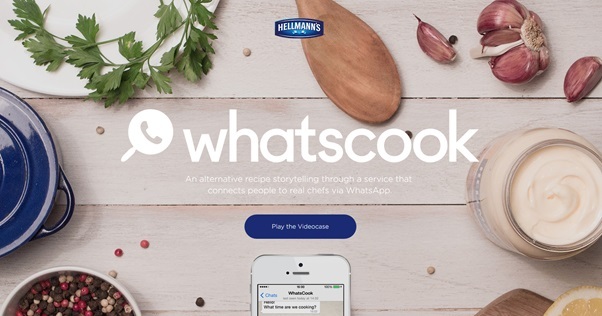 Hellmann’s asked consumers to register for WhatsCook on a dedicated website, they would then receive one to one guidance on making bespoke meals from a chef via What’sApp. Many brands already provide countless recipes and tips on social media platforms, but by using What’sApp, Hellmann’s were able to create unique content for consumers via a real relevant service. After registering on the website, consumers, just had to take a snap picture of their refrigerator, and the chefs came up with a delicious new recipe with Hellmann’s and taught the users how to cook using pictures, videos and other WhatsApp native options. For ten days Hellmann’s curated over 500 dishes – all featuring Hellmann’s mayonnaise as well as other items consumers had available. The recipes were delivered to consumers in real-time creating a great online buzz. The campaign was a success as it created a relevant service with real conversations and connections with consumers, answering their needs in the moment when they needed help. After the launch in Brazil the campaign was rolled out in Argentina, Chile, Uruguay and Paraguay.